The Research Travel Fund for Women from Developing Countries (hereafter “Research Travel Fund”) was established initially in 2007 to jointly honor the memory of one of ISQOLS’s founding members, Mary Joyce, Gianneschi Professor of Marketing at California State University in Fullerton (USA), as well as to honor prominent persons who, through the Fund, have made major contributions in supporting the activities of advanced woman graduate students and young woman scholars engaged in quality of life and well-being research. The purpose of the fund is to provide limited financial support to assist with the travel and related expenses for grantees to participate in ISQOLS’ international conferences. Mary Joyce received her Ph.D. from the University of Kentucky in 1981. 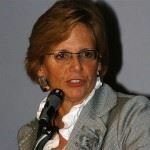 Until her death in 2007, Mary was most recently Gianneschi Professor of Nonprofit Marketing in the College of Business & Economics at California State University, Fullerton. Her research interests included social entrepreneurship, social marketing, and the effects of gender and aging on quality-of-life. In addition to her professorship and teaching duties, she served as the Vice President of External Affairs for the International Society for Quality-of-Life Studies (ISQOLS) and was honored by ISQOLS as a Distinguished Research Fellow. Mary also served on the boards of the National Policy and Advocacy Council on Homelessness (www.npach.org), the Tucker Wildlife Sanctuary and served on the Board of Directors of Goodwill Industries of Orange County and the Council on Aging of Orange County. Following her death, the major financial benefactors to the Fund in Mary’s name included Donald Rhatz, M. Joseph Sirgy, and Richard J. Estes. Mary Joyce died Dec. 12, 2007 following a long battle with cancer. She lived her life with passion and with a commitment to helping others. Mary was a long time advocate for the empowerment of women and a variety of at-risk populations. She was also a dedicated teacher who sought to inspire students to realize their full potential. She is survived by her husband Dr. David Lambert, her sister Linda, two brothers Tom and John, and a niece and two nephews. She also leaves behind a number of loyal friends and colleagues who will miss her greatly. 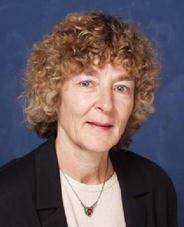 Valerie Møller is Professor Emeritus of Quality of Life Studies at Rhodes University, Grahamstown, South Africa. Before that she was director of the Institute of Social and Economic Research at Rhodes University (1998–2006) and headed the Quality of Life Research Unit at the University of KwaZulu-Natal, Durban, South Africa, in the 1990s. She received her Ph.D. in Sociology from the University of Zürich in 1978. Valerie first arrived in Africa in 1972 in a Volkswagen van that she and her husband had converted into a camper. She has lived and worked in southern Africa ever since. Valerie’s research interests have covered a wide range of issues that impact on the quality of life of ordinary people. She has published numerous papers on her South African research and edited or co-edited volumes devoted to South African and global quality of life. Her report on South African quality of life over three decades received the International Society for Quality-of-Life Studies’ Social Indicators Research 2013 best paper award. Valerie has served as the Vice-President of Publicity/Membership (2003-4) and President of ISQOLS (2007-8) and was honoured by ISQOLS as a Distinguished QOL Researcher in 2016. In 2006, she hosted the 7th ISQOLS conference, the first to be held in Africa and in a developing country. As a QOL researcher based in Africa, Valerie would like to see greater support for the next generation of scholars with first-hand knowledge of human well-being in developing regions of the world.